View cart “O Dreamer” has been added to your cart. Nitya is classically trained singer, song-writer and composer from India, currently living in New York City. Nitya draws on her training in voice and theatre, as well as her singer / song-writer sensibility, in the hope of sharing and touching audiences world-wide with an inspirational message. Her debut album, Awakenings, features 3 songs, each with a message of spiritual awakening. Nitya is deeply passionate about sacred and inspirational music, and hopes to continue writing and performing more original music in this space in the future. Drawing on her classical training and singer / song-writer sensibility, Nitya Thomas writes songs that flow from the heart with a healing and inspiring message. Nitya Thomas is an inspirational singer from Bangalore, India. Classically trained in Vocal Performance at the Mannes College of Music in New York City, she has been singing and playing piano since the age of six. 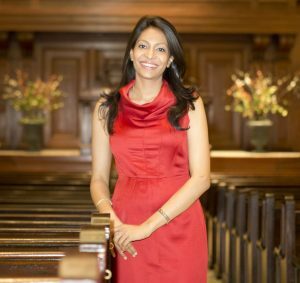 She is currently the soloist at the prestigious First Church of Christ, Scientist in Manhattan and prior to this has also performed at other churches in the New York area, as well as in India. Nitya’s debut album Awakenings is a 3 song EP showcasing her vocal talents as a classical crossover artist with a pop edge. Produced and orchestrated by Peter Link, this album also marks Nitya’s debut as a song- writer and composer. The album features 3 songs, each with an individual message of spiritual awakening. Nitya also holds a Bachelors Degree in Maths and Economics from the London School of Economics, and worked for several years in the Banking world before moving to New York City to pursue her singing career.